Special clinical interest in non invasive cardiac imaging, invasive cardiac imaging (TOE), invasive cardiac imaging (Cath). Dr Andrew Rainbird returned from the Mayo Clinic, USA, with extensive training in many non-invasive techniques. His current interests within the group include a consulting practice, coronary angiography, echocardiography, stress echocardiography and transoesophageal echocardiography. Dr Rainbird visits Gladstone regularly. 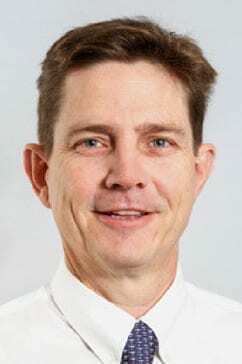 He also consults at the Wesley Hospital and has a non-invasive practice at Clayfield.